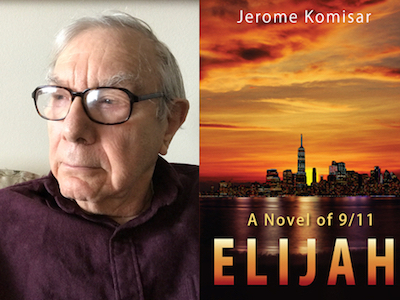 Congratulations to Jerome Komisar for his #1 Int’l Bestseller, Elijah: A Novel of 9/11! for his #1 International Bestseller, Elijah: A Novel of 9/11. Jerome Komisar was born and raised in Brooklyn, and completed his undergraduate work at New York University and his graduate studies at Columbia University. Having taught economics at City College of New York, Hamilton College, and the State University of New York Binghamton, Dr. Komisar went on to the position of Executive Vice Chancellor and Acting Chancellor of the State University of New York. He was President of the University of Alaska System for eight years. Telling the story of 9/11 through a unique spiritual pilgrimage, Mr. Komisar has now released his latest novel, Elijah: A Novel of 9/11, which is a superbly written account of a successful screenwriter and director who was in the South Tower when the planes struck on 9/11, and who is now obsessed with fulfilling his bargain with God and making a film about the tragedy. Elijah: A Novel of 9/11 sends readers on a fascinating journey as the Biblical prophet Elijah presents himself to Martin Stein. Although Elijah manifests a human form in front of Martin, no one else can see him. Their stimulating discussions about the nature of people, the meaning of events, the history of religion and what God really wants from us are as entertaining as the story plot itself. 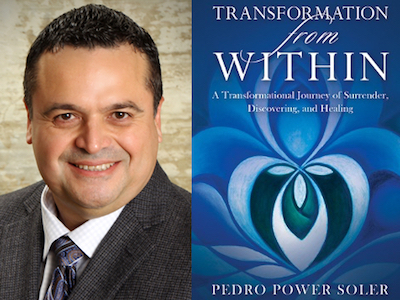 Congratulations to Pedro Power Soler for his #1 Int’l Bestseller, Transformation from Within! for his #1 International Bestseller, Transformation from Within: A Transformational Journey of Surrender, Discovering and Healing. Pedro Power Soler is the founder of the International Metaphysics Center, an award-winning, international best-selling author, ordained interfaith minister from the well-established worldwide non-profit organization, International Metaphysical Ministry. Graduated from the University of Metaphysics at Sedona, Pedro is also a Metaphysical counselor, healer, spiritual guide, teacher, and transformational coach. 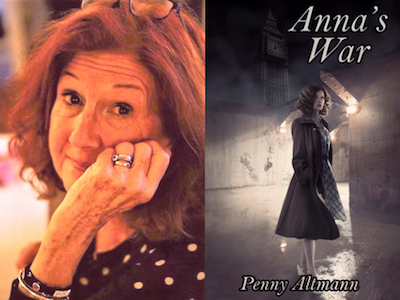 Congratulations to Penny Altmann for her Int’l Bestseller, Anna’s War! for her International Bestseller, Anna’s War. Penny Altmann is a professional artist with a large audience, and has now debuted as a professional writer. Having written bits and pieces since she was a young child, Penny has always experienced a unique knack for writing. Currently residing in La Mayenne, France, Altmann has spent many years of her life living in Normandy while raising her children. Altmann has also written three children’s books so she could draw illustrations for the books, which she plans to publish one day. Having only written small manuscripts and children’s books in the past, Anna’s War was somewhat of a revelation for Altmann. The story for the book came naturally to Penny as she spent many arduous days and nights perfecting the story for the world to enjoy. 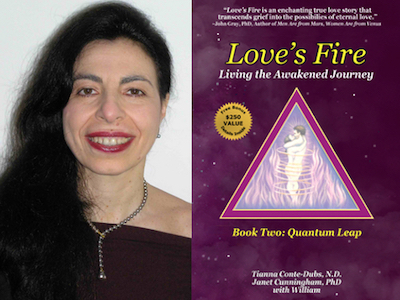 Congratulations to Tianna Conte-Dubs for her #1 Int’l Bestseller, Love’s Fire~Living the Awakened Journey Book 2: Quantum Leap! Love’s Fire ~ Living the Awakened Journey – Book Two: Quantum Leap. Tianna Conte-Dubs, N.D. is a psycho-spiritual therapist in energy medicine for decades. 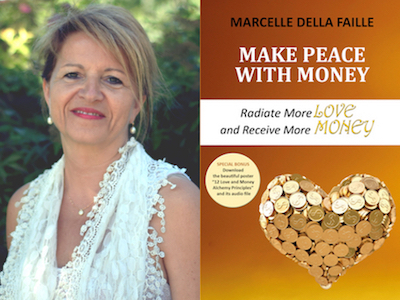 She is a trailblazing blend of mystic, scientist, an international best-selling transformational author and film producer. She is an ordained interfaith minister, an initiated shaman and Reiki master. Tianna empowers people in re-awakening their innate guidance and soul superpowers. She is the founder of The GPS Code™ (God/Source Positioning System) in collaboration with her beloved William, in Spirit. 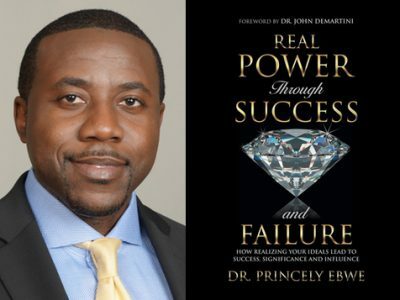 Congratulations to Dr. Princely Ebwe for his Bestseller, Real Power Through Success and Failure! How Realizing Your Ideals Lead to Success, Significance, and Influence. Dr. Princely Ebwe is a speaker, educator, author, a Doctor of Chiropractic, and consultant. 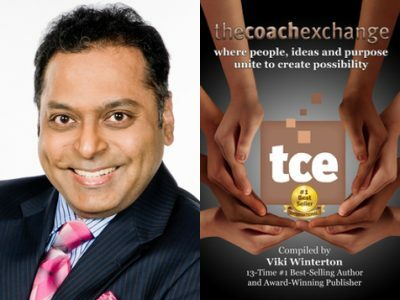 He is the Founder of Imperative Ideals, a company that focuses on helping people and organizations realize their ideals and streamline their success. Dr. Ebwe is highly proactive about urging people to expand their horizons and tap into their inner reserve of inspiration. In an endeavor to spread his unique message and his techniques, he has appeared on many radio talk shows over the years. Dr. Ebwe has served as a faculty member at Career Point College in Austin, TX where he taught Human Anatomy and Physiology, Microbiology and Pharmacology and Success in Vocational Nursing.